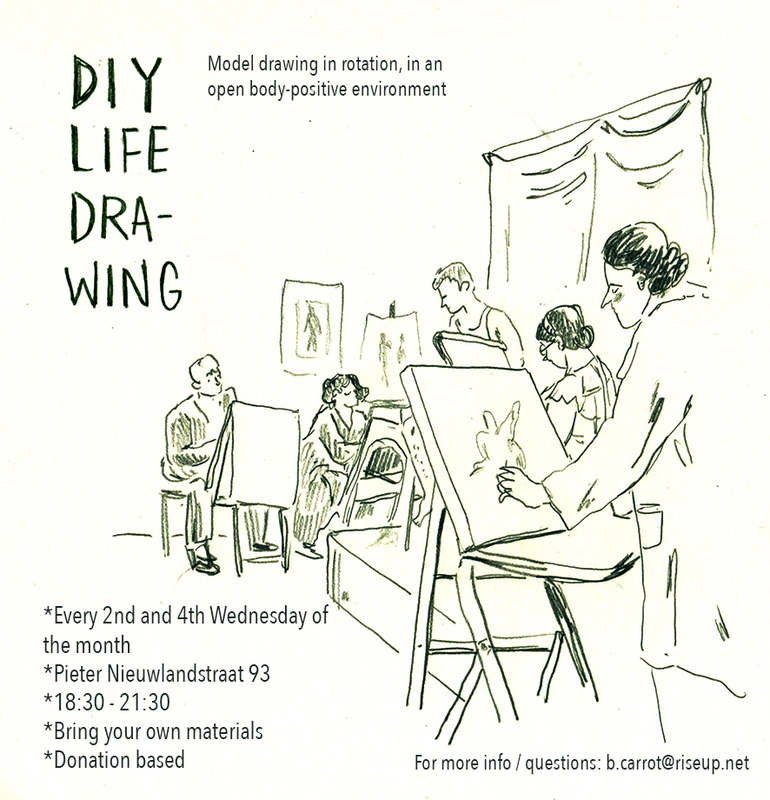 Do It Yourself model drawing session; Body positive and open to all! We rotate taking turns modeling for each other (clothes on) in an open and relaxed enviornment. Everyone who wants to draw is of course welcome: different drawing styles levels and ideas are all appreciated. Bring your own materials (we don't supply any) and we ask you to leave a donation for the space we use. We start at 18:30 and end at 21:30 with a break in the middle. Tea \ coffee available, no sexist, transphobic or any other unwanted behavior tolerated. Most activities use the entrance on the left side of the building (#93). Middle entrance (#95) is used by Balcontactics, DIY Fietskliniek and occasionally ABW. NieuwLand is solidary and self-built space for living and working, and a non-commercial, volunteer-run social-political centre in Dapperbuurt, Amsterdam Oost.